Amino acids are the building blocks of protein. There are 22 known amino acids of which eight have been deemed essential. 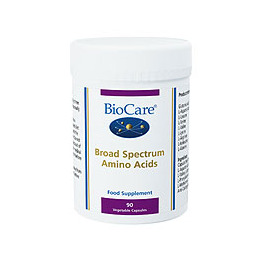 Broad Spectrum Amino Acids contains seven of the essential amino acids. Capsule Shell (hypromellose), L- Glutamic Acid, L-Aspartic Acid, L-Leucine, L-Lysine Hydrochloride, L-Serine, L-Valine, L-Arginine Hydrochloride, L-Isoleucine, L-Alanine, L-Phenylalanine, L-Threonine, L-Tyrosine, L-Proline, L-Methionine, L-Glycine, L-Histidine, L-Cysteine Hydrochloride, Anti-caking Agents (Silicon Dioxide & Magnesium Stearate). Take 3 vegicaps daily with food or to be taken as professionally directed. None known if recommended intake is followed. 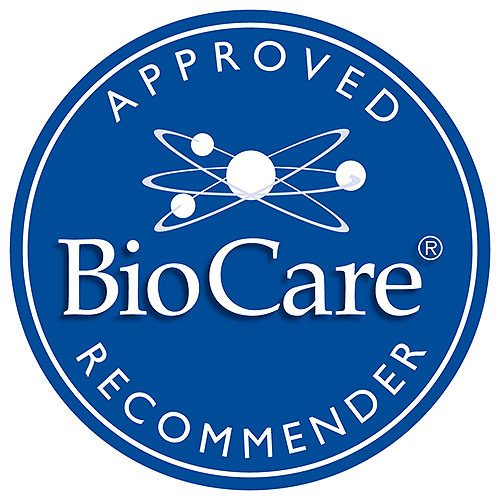 Below are reviews of Broad Spectrum Amino Acids - 90 Vegicaps by bodykind customers. If you have tried this product we'd love to hear what you think so please leave a review. Amino acids are the building blocks of protein. There are 22 known amino acids of which eight have been deemed essential. 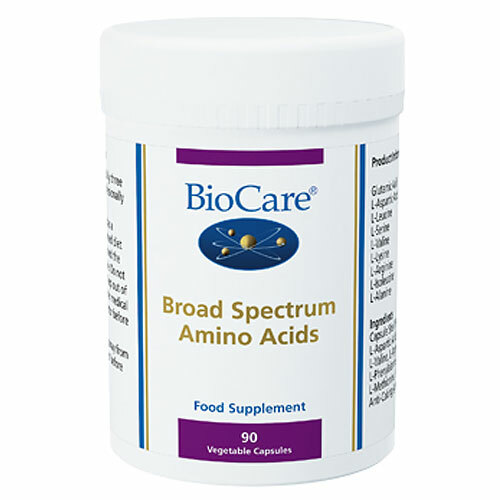 Broad Spectrum Amino Acids contains seven of the essential amino acids.